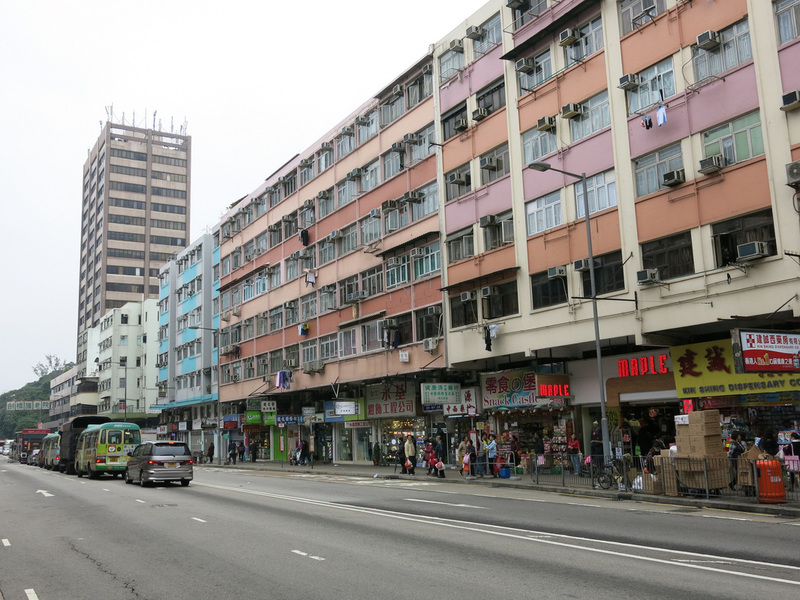 Tai Po is a large residential district a few stops north on the Eastern Railway from Sha Tin. 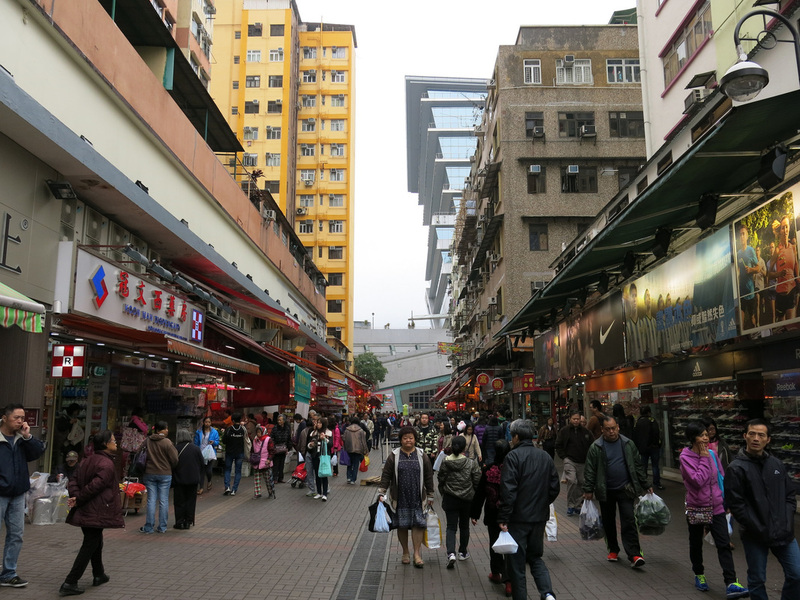 The Cooked Food Centre and nearby pedestrian market street are as exciting as any in Hong Kong. Unfortunately. after this initial burst of excitement the area turns into mostly housing estates. 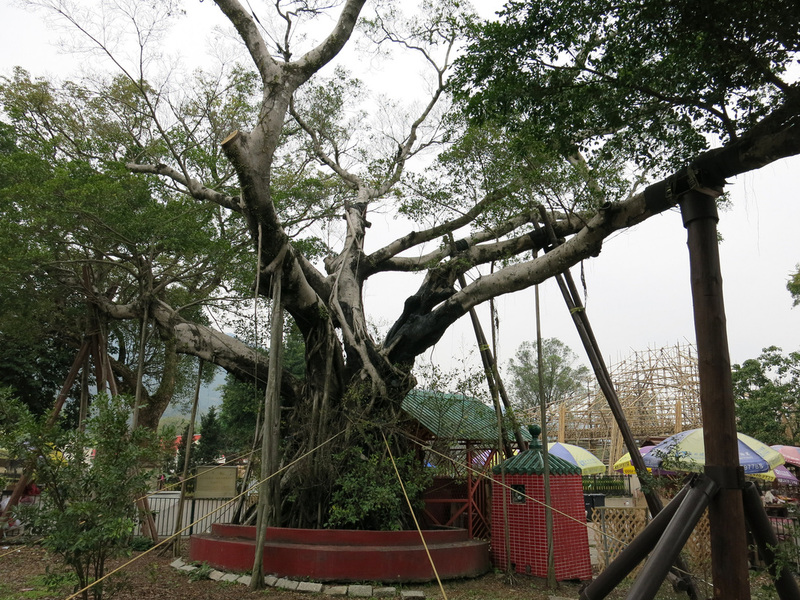 Tai Po seems to lack religious, cultural, and historical sites to create a long afternoon once you've finished lunch. 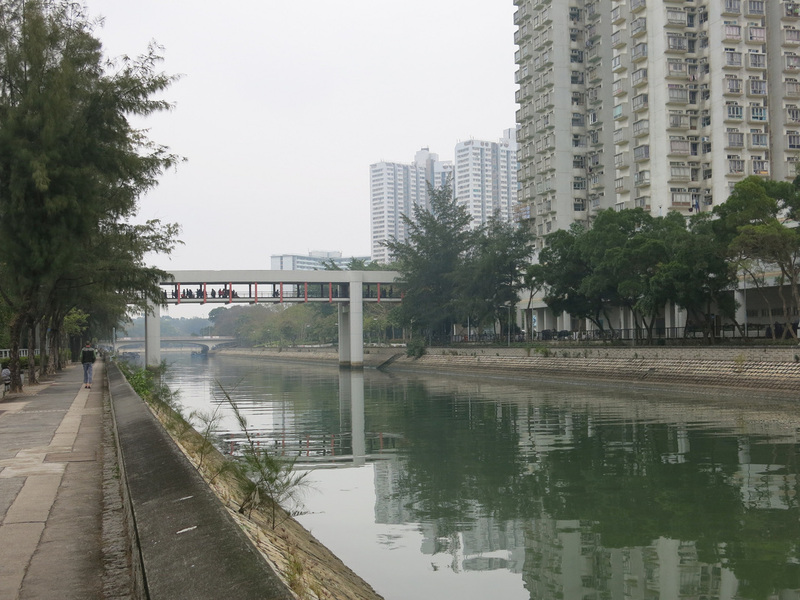 Across the Lam Tseun River a walking path leads to the Tai Po Waterfront Park. The park has a couple of nice gardens and recreational areas including lawn bowling and a motorboat pool. 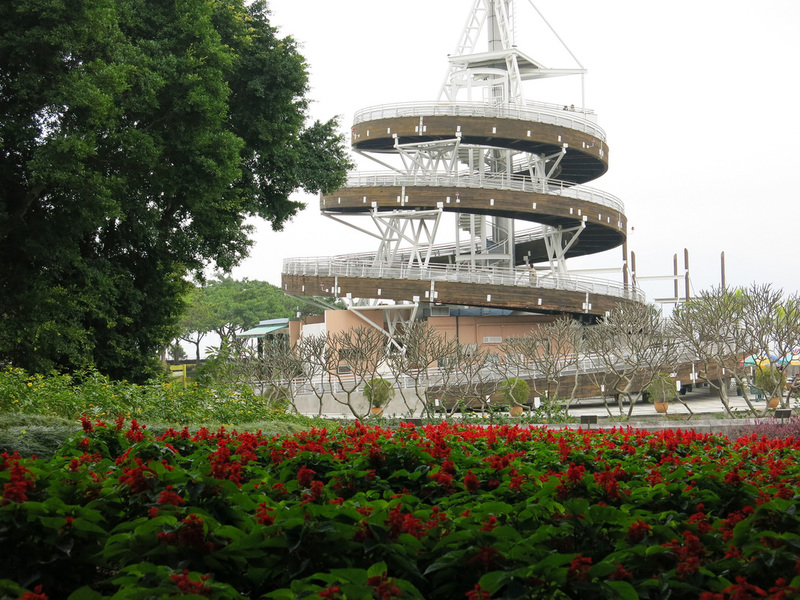 An observation tower along the water's edge provides a panoramic view ocean coves and inlets. On a nice day you can see a few mountain peaks in the distance. 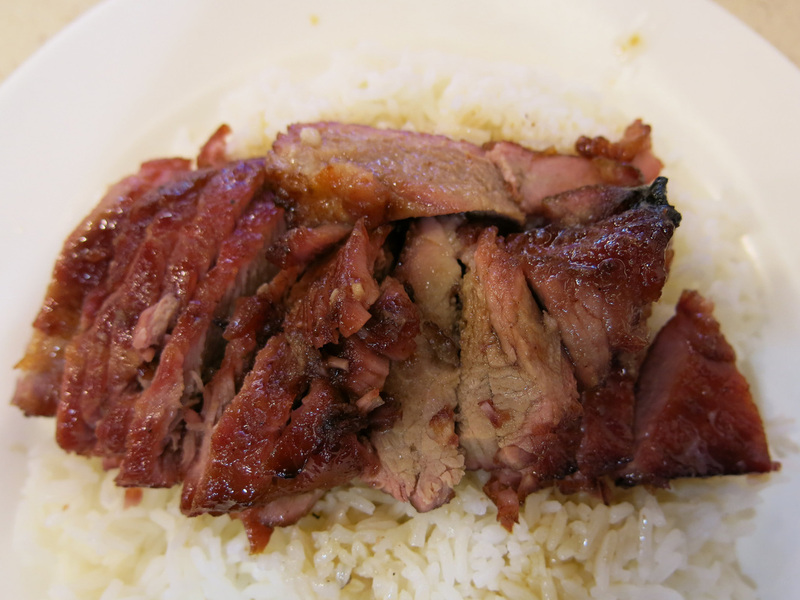 For a small area, Tai Po has several outstanding dining options - two of which were featured on the Hong Kong episode of Anthony Bourdain's No Reservations. Both were memorable segments. Ping Kee is a noodle restaurant - it's non-descript and does not stand out from any of the other food stalls in the Tai Po Cooked Food Centre. However, the noodles are homemade using an ancient technique of spreading the noodle flour mix by hopping on a bamboo pole. The noodles have an unusual, tougher texture than any I've ever had before. 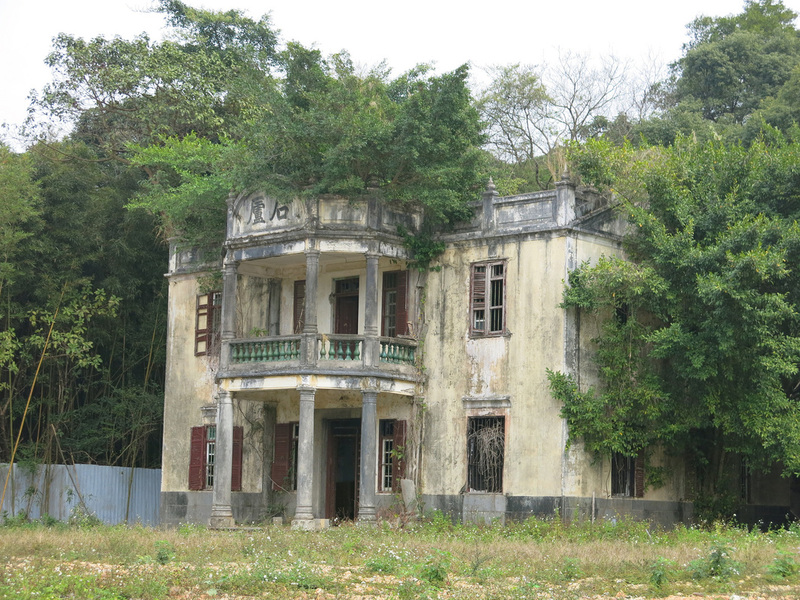 The second No Reservations location is Yat Lok. The restaurants BBQ Pork and Goose left Bourdain speechless. The meat is decent although I wasn't at a loss of words after trying. 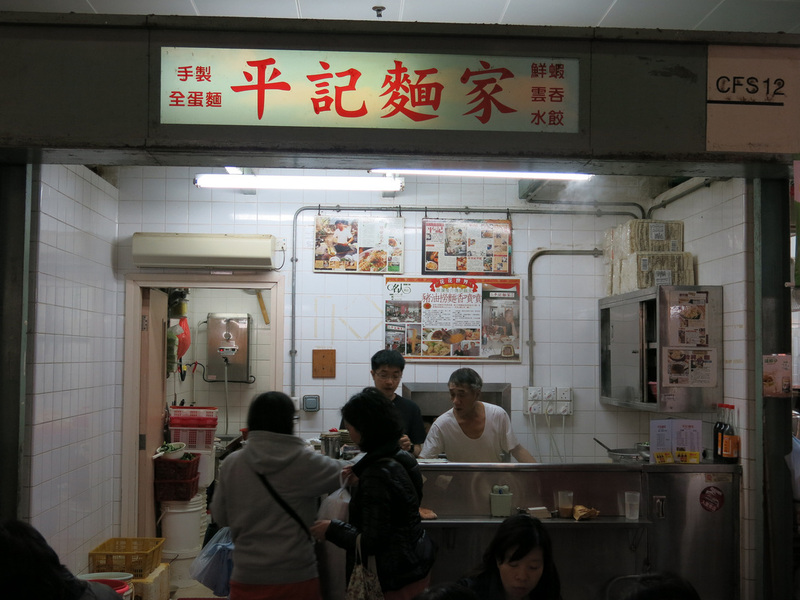 Ping Kee is stall 12 in the Cooked Food Centre; Yat Lok is located on the Tai Po Central Square. 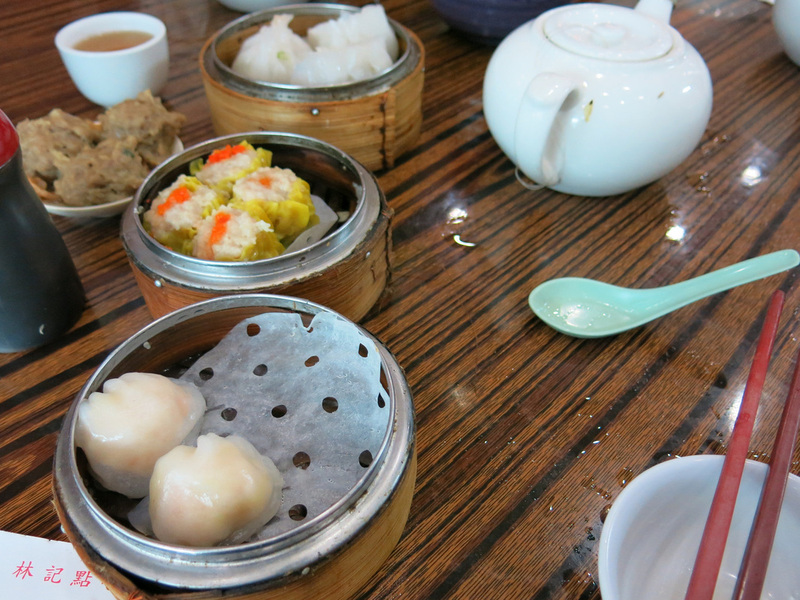 Beyond the Bourdain filming locations, there's also a highly rated dim sum stall, Lam Kee (shop 8/9) in the Tai Po Cooked Food Centre. Most dishes cost around $10HKD making for a very economical meal. One nearby cultural site is The Wishing Tree. It's nearly a 30 minute bus ride (Route 64K) to the Wishing Tree and an associated temple complex. 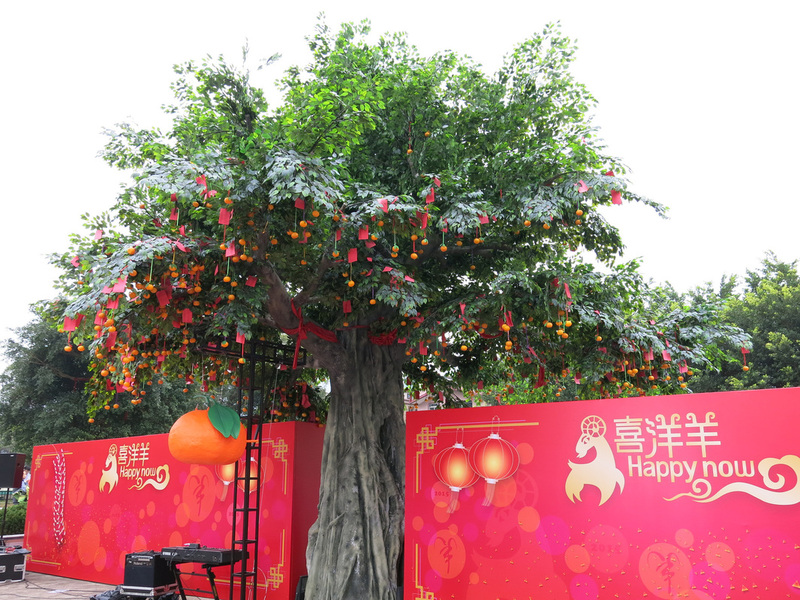 Around New Years, Hong Kongers write a wish on a red placard and tie it to a tree branch. Sadly the tree has taken a beating and sustained fire damage. The tree is held up with support while a less impressive tree serves as a replacement. Two stops north on the Eastern Railway Line is Fanling. This is another large residential area with a large industrial complex as well. 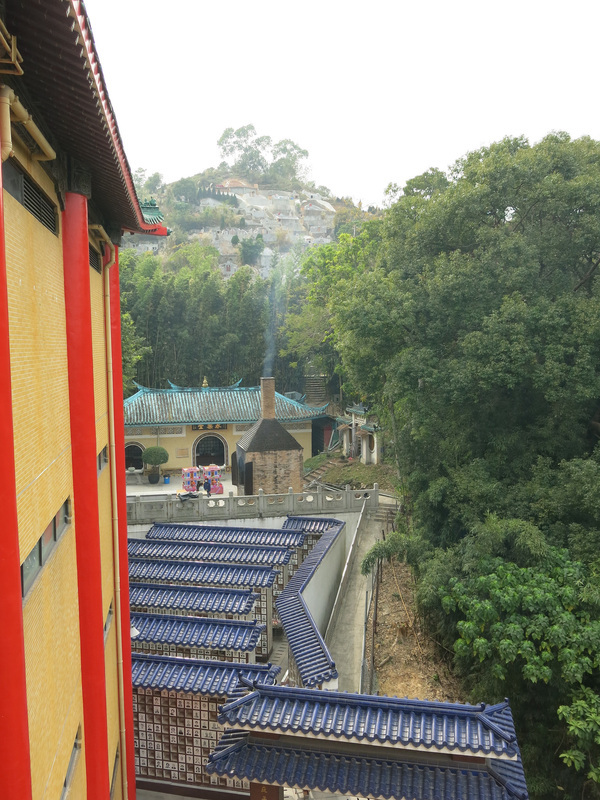 There are two attraction areas here - the first and closer to the MTR Station is Fung Ying Seen Koon Temple, a Taoist Temple completed in 1929. 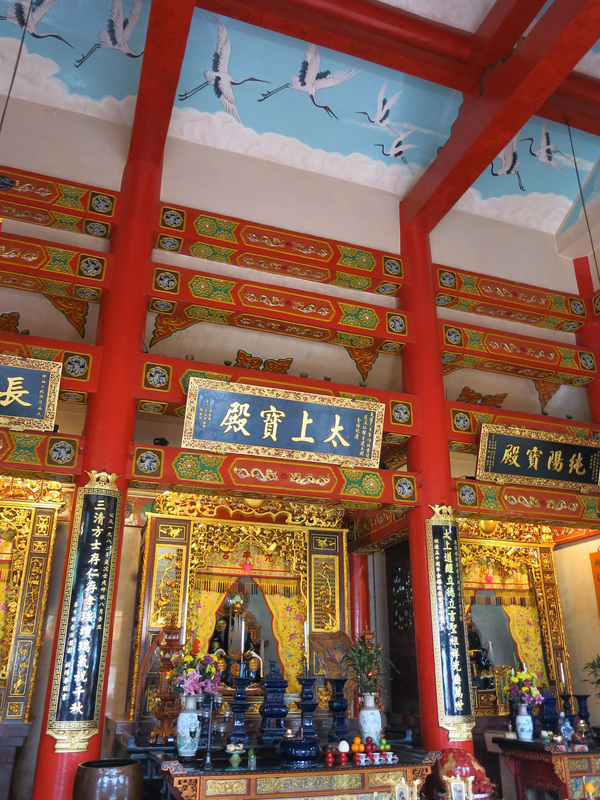 There's a central temple that sits atop a flight of stairs, however, this temple complex's distinction is the variety and volume of cremation areas. 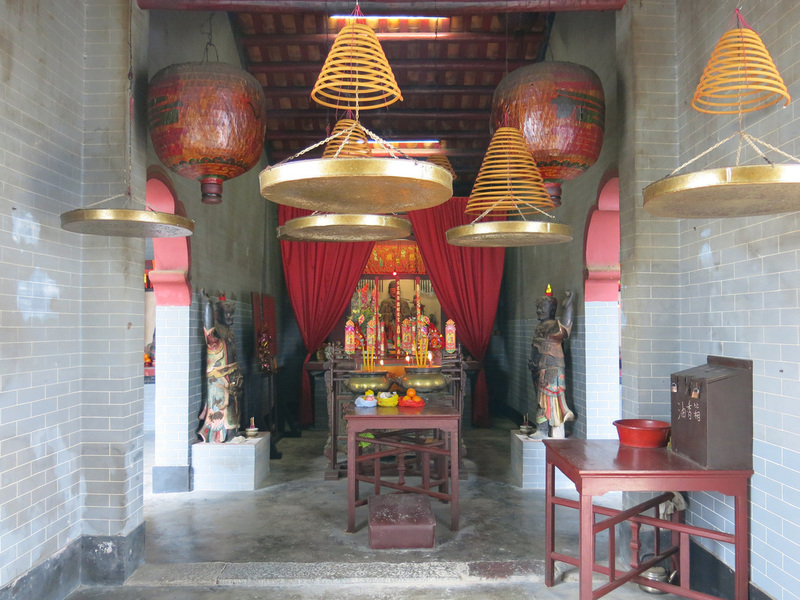 On a Sunday afternoon the cremation halls were alive with ancestors making sacrifice and burning incense. To the right of the main temple is a three story temple complex that includes a cremation hall on the ground floor and two additional temple areas above. The top floor has a ring of the Taoist "Year Gods". The main palace has a blue and white sky mural on the ceiling which adds a bit of light to the room. On the backside of the temples are a series of cremation vaults that have been constructed and added to the temple over time. 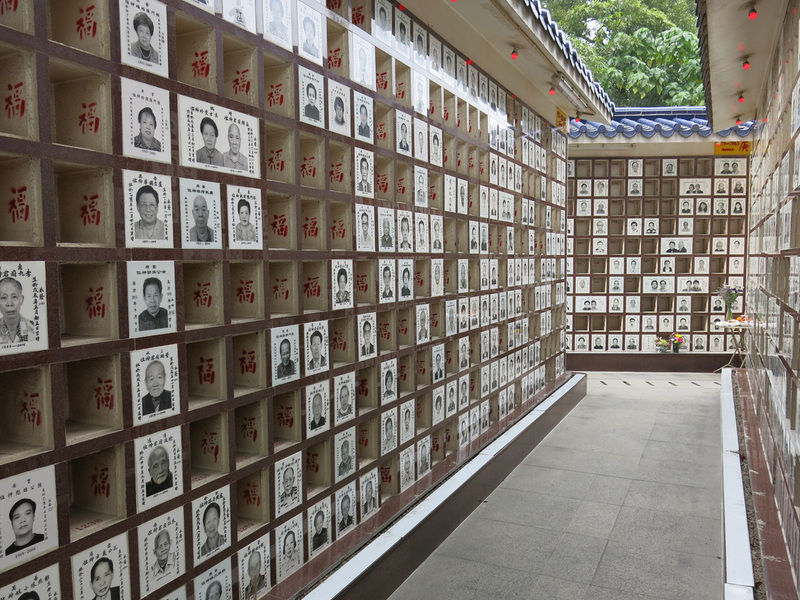 Each of the vaults contains a profile photo of the deceased on a white backdrop. 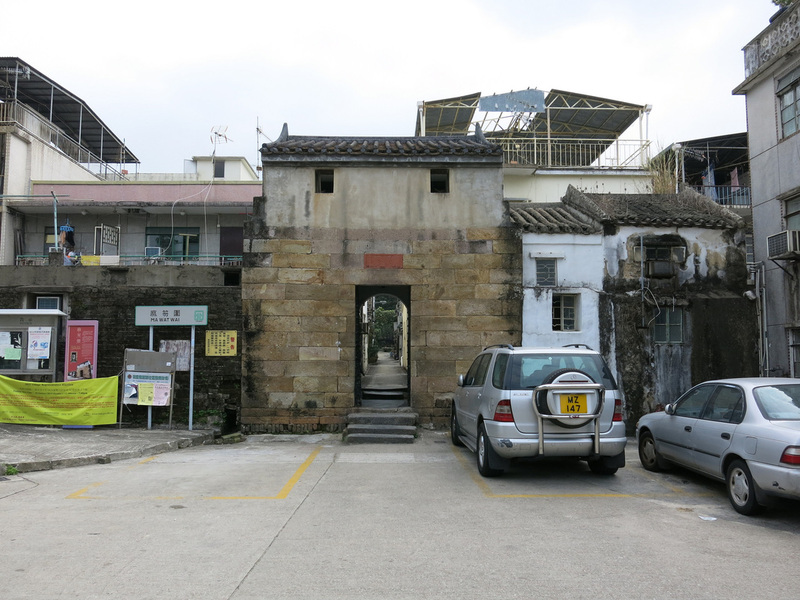 The second Fanling attraction is the Lung Yeuk Tau Heritage Walk which starts about thirty minutes (by foot) from the MTR Station. You can also take shuttle bus 54K to the start of the route and for your return. The Heritage Walk passes the remnants of a few historical areas - an old church, a walled village, a temple, and an ancestral home. It's not the most impressive collection of buildings - the most interesting part is to see how modern life and homes have been built around and incorporated into the historical areas. 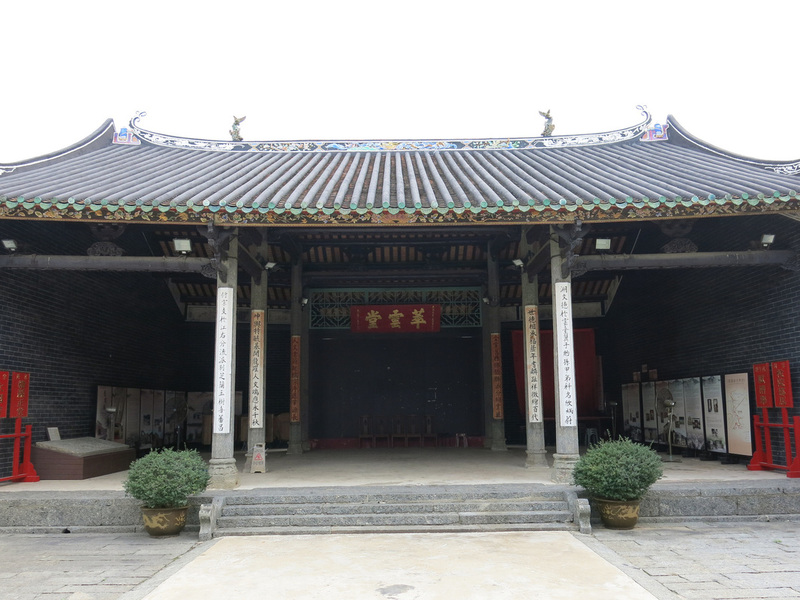 Many of the buildings were constructed by the Tang Clan. Per Discover Hong Kong: In 13th century China, when the Southern Song dynasty (1127–1279) was succumbing to overwhelming Mongol forces, a pursued princess took refuge with the Tang clan, who hailed from China’s Jiangxi province. She ended up marrying one of the Tang men, and their descendants moved to Lung Yeuk Tau sometime towards the end of the Yuan dynasty (1271–1368). These descendants built 11 villages in the area, five of which are walled, which serve as a reminder of the dangers marauding bandits and pirates presented in the area in bygone times. Once you are oriented after exiting the MTR Station it's relatively straight forward to find the signs and complete the walk. 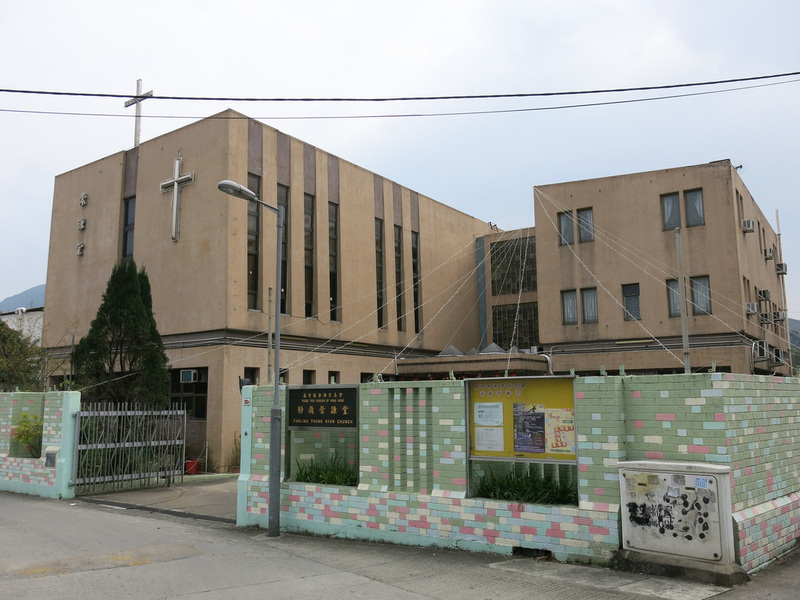 The first historical building is Shung Him Tong, a Hakka Lutheran Church. The Hakka's have been in this area since 1901, however, the church is a more recent construction. Less than 50 meters from here is Shek Lo - an awesome looking estate house, which unfortunately is in need of major renovations and closed to the public. 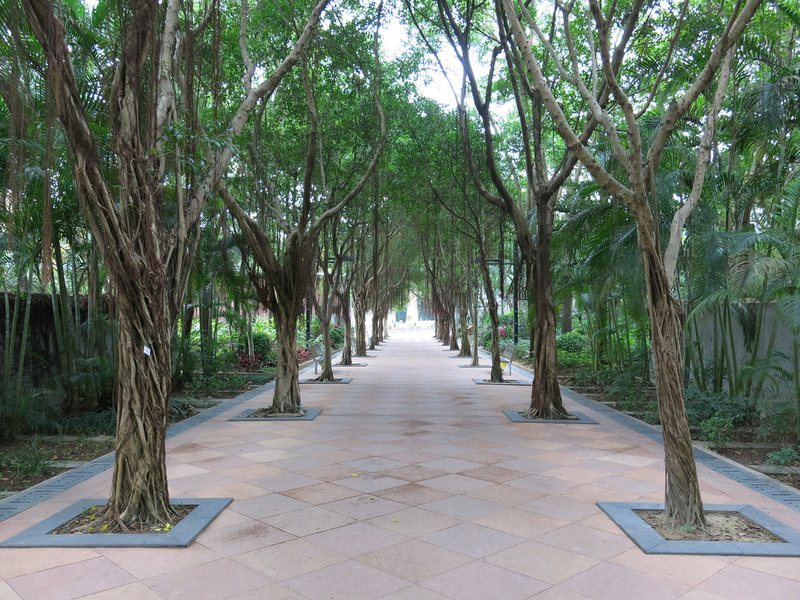 The next cluster of sites is ten minutes away and features the entrance gate of Ma Wat Wai. The gate dates to 1740, although once you pass through you will notice that all the homes are relatively newer construction and do not feature similar architecture features. 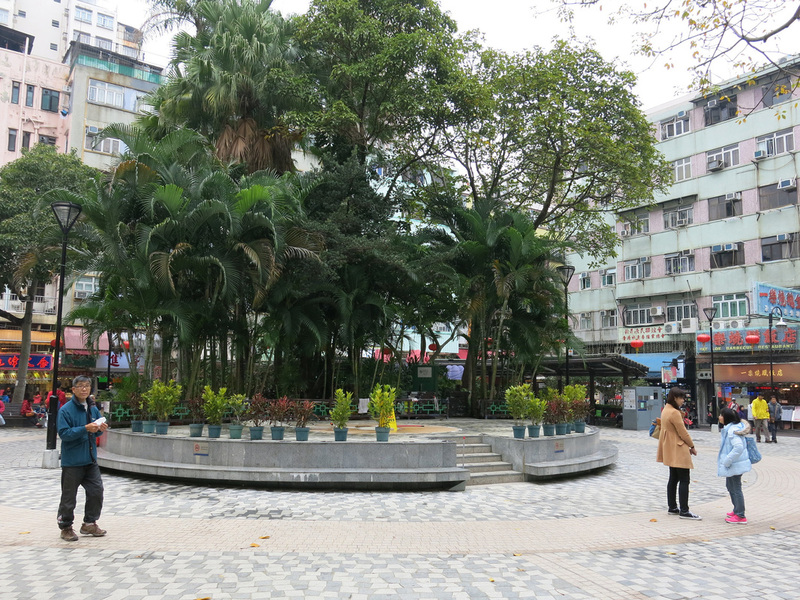 Nearby is Lo Wai, the largest of the Heritage Walk sites. Thick walls surround a small village that still has a few historical homes. There's a similar entrance way with an old well to the right and a gun platform above...which you can't access. The two final sites are right next to one another. 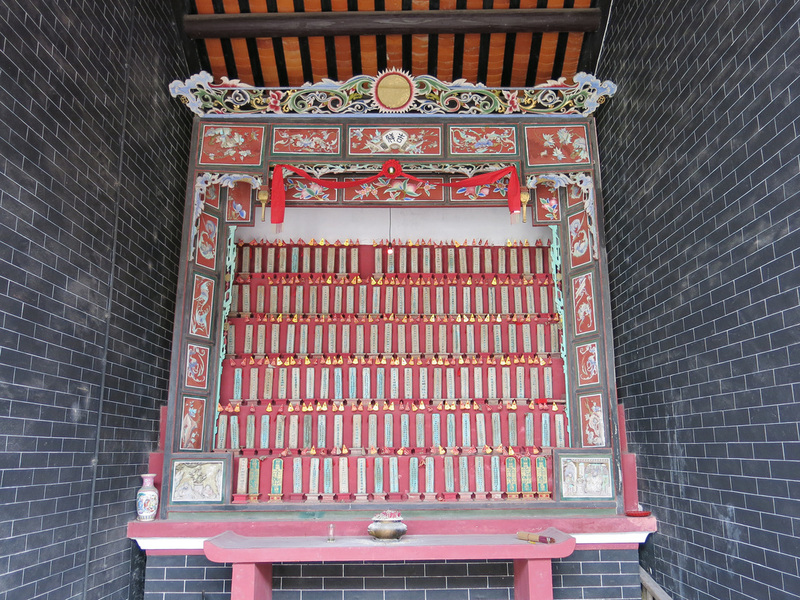 The Tin Hau Temple was restored in 1981. Tin Hau is the god protector of fisherman, thus his is a very popular god in Hong Kong - there are over 100 Tin Hau temple's in Hong Kong. There's also the goddess of childbirth, Kam Fa on an adjacent prayer hall. 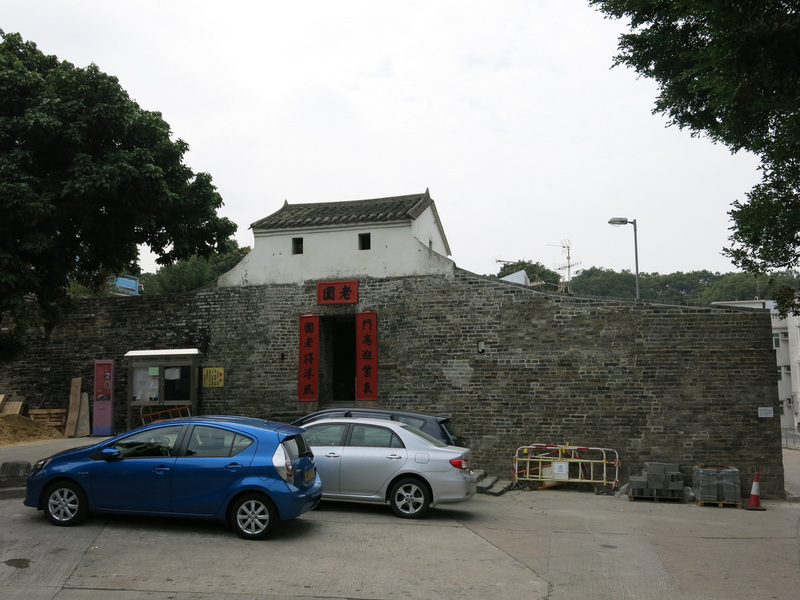 The next building over is the Tang Chung Ling Ancestral Hall. Per Discover Hong Kong: Originally built in 1525 and rebuilt around 1700, the Tang Chung Ling Ancestral Hall is the oldest and largest ancestral hall in Hong Kong. Dedicated to the founding members of the Lung Yeuk Tau Tang clan, it houses the only imperial tablet in Hong Kong, which honours the clan’s ancestors, the Song Chinese princess and her Tang husband. The Ancestral Hall is the most impressive building on the Heritage Walk. When planning your visit it's worth noting the Hall closes between 1-2 in the afternoon. 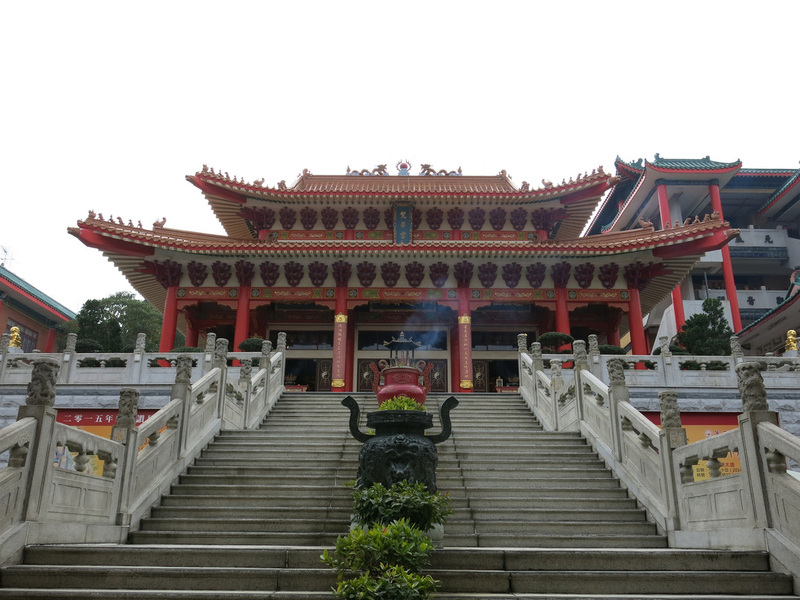 The 54K Minibus passes the temple every 5-10 minutes for an easy return to the Fanling MTR Station. The Heritage Walk actually continues for another mile or so and features three additional sites, however, the next site is nearly a mile away and after the first sites were a bit underwhelming I decided to head back. For additional Tai Po and Fanling photos see FLIKR ALBUM.